Located in Vienna, The Secession building was built in 1897 by Joseph Maria Olbrich as an architectural manifesto and exhibition hall for the secession group. Secession refers to the seceding of a group of rebel artists from the long-established fine art institution. The motto of the Secessionist movement is written above the entrance of the pavilion: "To every age its art, to art its freedom" (German: "Der Zeit ihre Kunst. Der Kunst ihre Freiheit"). Below this is a sculpture of three gorgons representing painting, sculpture, and architecture. 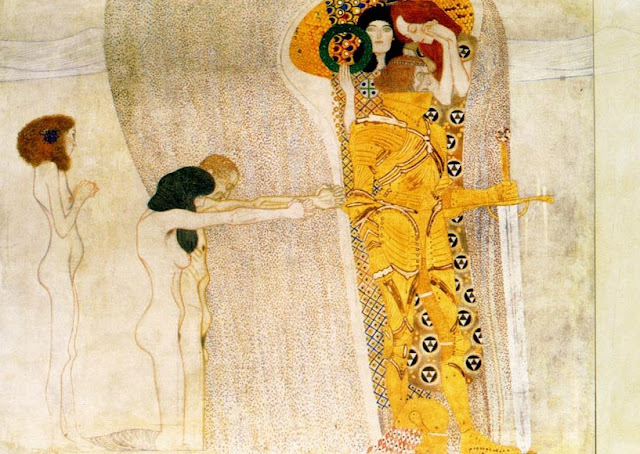 The building features The Beethoven Frieze by Gustav Klimt., one of the most widely recognized artworks of Secession style (a branch of Art Nouveau, also known as Jugendstil). The building was selected as the main motif of one of the Austrian gold collectors' coins: the 100 euro Secession commemorative coin, minted in 10 November 2004. On the obverse side there is a view of the hall. The building also appears (from a different perspective) on the regular €0.50 Austrian coin. A detail of Klimt's work is featured on the reverse side of this coin.